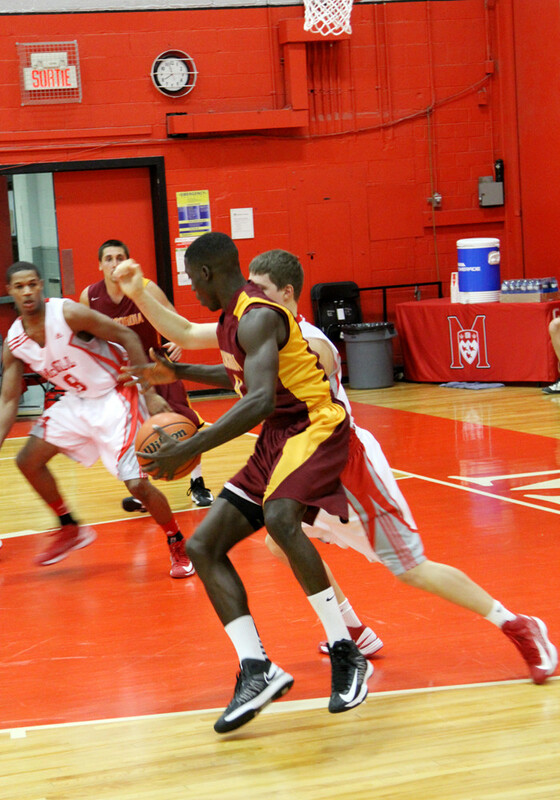 Forward Kafil Eyitayo tries to get past a McGill player. Having a healthy roster never felt as good as it did Thursday night when the Concordia Stingers men’s basketball team devoured the McGill Redmen in explosive fashion. The win marked the return of Stingers’ guard Kyle Desmarais, sidelined for months due to injury. “I’m very happy with how we came out today from the get-go. Right from the tip we were aggressive, picking up full court, and that’s our team’s character,” he said. And that energy continued throughout the night, as the Stingers never trailed in the game. In the first half they had to contend with a strong Redmen team, as both sides remained neck and neck with each other. Yet the momentum turned to the Stingers’ favour when Desmarais caught the rebound from a missed three-pointer by McGill guard Christian McCue, rushed to the McGill zone and scored a three-pointer of his own to give the Stingers an 18-15 at the end of the first quarter. “We dominated the boards, and we really out rebounded them,” said Stingers head coach John Dore, referring to his team’s 46 rebounds to McGill’s 28. As the second quarter remained close, it was in the third and fourth that the Stingers began breaking away, enjoying as much as a 23-point lead at one point. 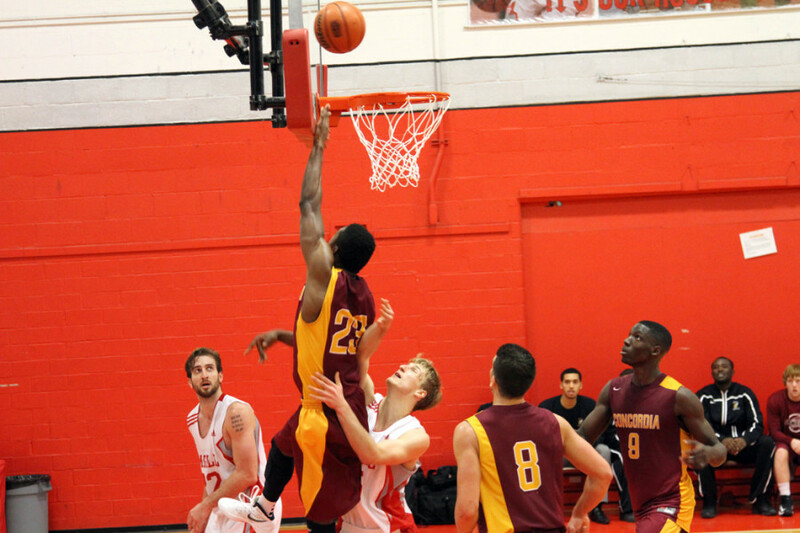 Forward Kafil Eyitayo, who had a 17-point night, credited the Stingers success to a much-needed holiday break. “We’ve been struggling a lot and I feel the Christmas break gave us time to go over everything we had to do, which is why I think we came out strong today,” he said. Dore, meanwhile, credited Thursday’s result to his team’s defense. “We got a few steals, we got a few blocks, we dominated the boards, and were pretty good in transition,” he said, referring to the Stingers’ five steals and two blocks. After coming up short against UQAM last Saturday, the Stingers are hoping to have guard Morgan Tajfel, who suffered a torn medial collateral ligament on Nov. 30, return to the line-up when they host the first-place Bishop’s University Gaiters on Jan. 19. Tipoff is at 4:00 p.m. at the Concordia Gym.